Home/Blog/Ashbury - Endless Skies CD available again! Ashbury - Endless Skies CD available again! 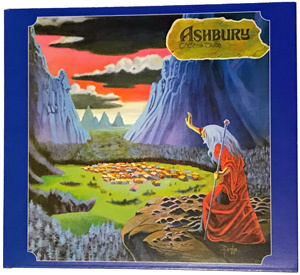 Ashbury's classic "Endless Skies" album, recorded in 1983, is now available again on compact disc from the Rockadrome label. This time around it is presented in the digipak format and still includes the same lyric/liner notes insert as the previous jewel case version. Since it's initial reissue by Rockadrome in 2007, Endless Skies has caught fire in the underground and helped to bring the Davis brothers out of retirement and back into action. They've played numerous music festivals in the U.S. and Europe, re-released their 2nd album, Something Funny Going On, and our preparing a new album for release! If you are ever in Arizona, you can check out one of their acoustic sets they perform locally on a regular basis. Meanwhile, Endless Skies has been reissued several times by labels around the world as well, in vinyl, compact disc and cassette format! It's now considered a bonafide classic!